Clare was a remote part of the province where the returned exiles could keep a low profile. 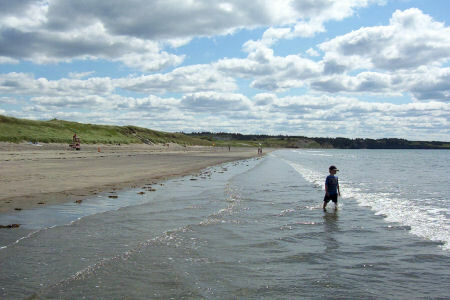 Even now most Nova Scotians have never visited the area. A pity, because it has a character all its own. This is the "jewel of Clare", the superb Mavilette Beach.